SPOILER ALERT: Snape kills Dumbledore! SPOILER ALERT: The cake turned out well but I learned certain things about its composition that bothered me. This post contains frank discussion about the inner workings of Red Velvet cake. Stop reading now if you hold especially high regard for the dessert. Now that we’ve got that out of the way, I’m free to discuss the mysteries of the Red Velvet Cake. First off: our recipe. I used this recipe from, who else? Paula Deen. The woman has to know a thing or two about red velvet. I won’t bore you in this post with the details of cake making, since most of you know the basics, so we’ll breeze through with a couple stops to point out red velvet highlights. First, you prepare your pans. 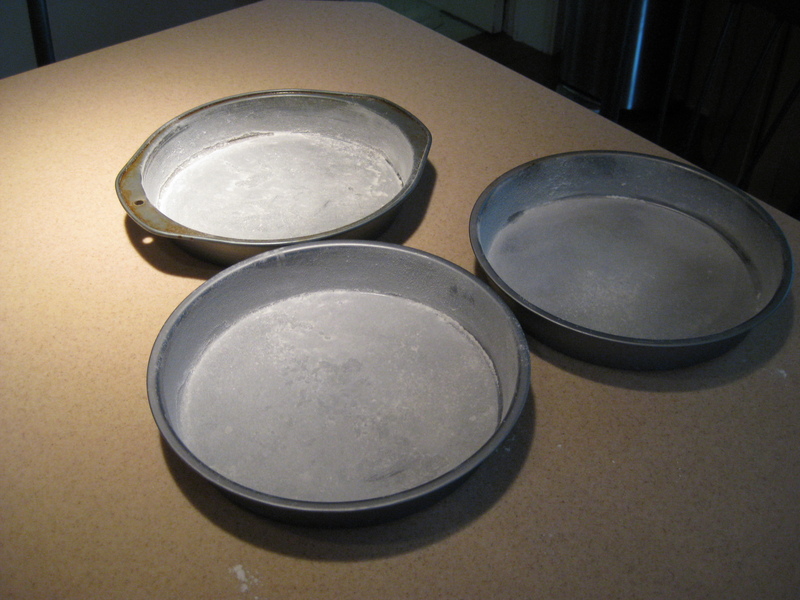 Typically red velvet has multiple layers, so I buttered and floured three layer pans. Now gather all the ingredients. Two items that stood out: 1. red food coloring; 2. white vinegar. Hmmmm…. Cream the butter and sugar and add the eggs…pretty standard. Now comes the “red” part. You mix 2 ounces of red food coloring with the cocoa powdered to add both chocolate flavor and the signature red color. Yes. two ounces. You know the standard red food coloring that comes in the little squeeze bottle with the pointy top that looks like a gnome hat? Yeah…that’s .25 ozs. Quick math tells me I need EIGHT of those gnome hatted guys to make this recipe. Red Velvet cake secret #1 = ungodly amounts of food coloring. Sorry, Paula, but I’m only using .25 ounces thankyouverymuch. Mix the coloring and the cocoa and then add to the sugar/butter mixture. Sidenote: thank god for soft scrub with bleach or our counter top would look like a crime scene, because obviously, I spilled red food coloring. Next, add the flour, buttermilk and then vanilla. Mix the baking soda and vinegar in a small bowl. And yes, those are the ingredients to make a “volcano”. Why the vinegar? 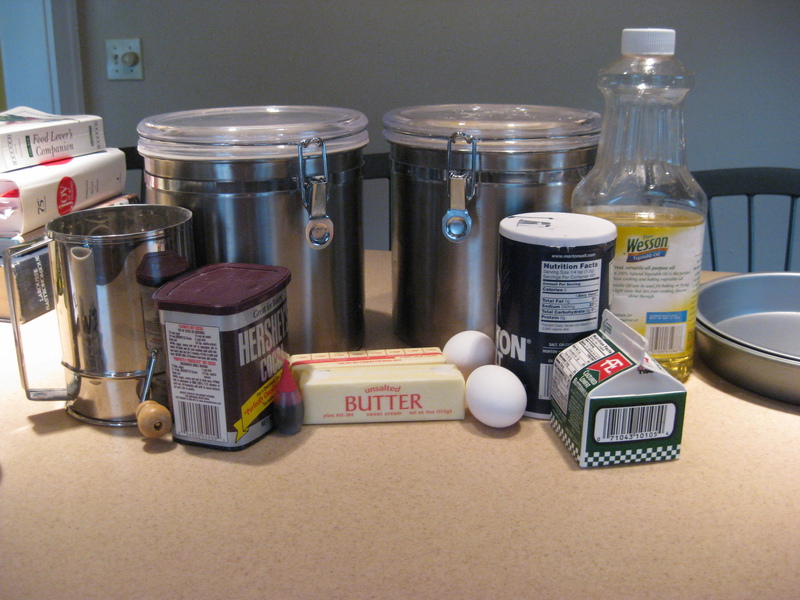 Red Velvet Secret #2 = vinegar must be added to offset the taste of using SO MUCH red food coloring. I told you…the secrets are a little disconcerting.